Sioned and Jonathan weren’t too fussed about doing anything grand or extravagant on their wedding day. Instead, they wanted to enjoy a simple affair with people they loved – plus a delicious, guest-pleasing menu. 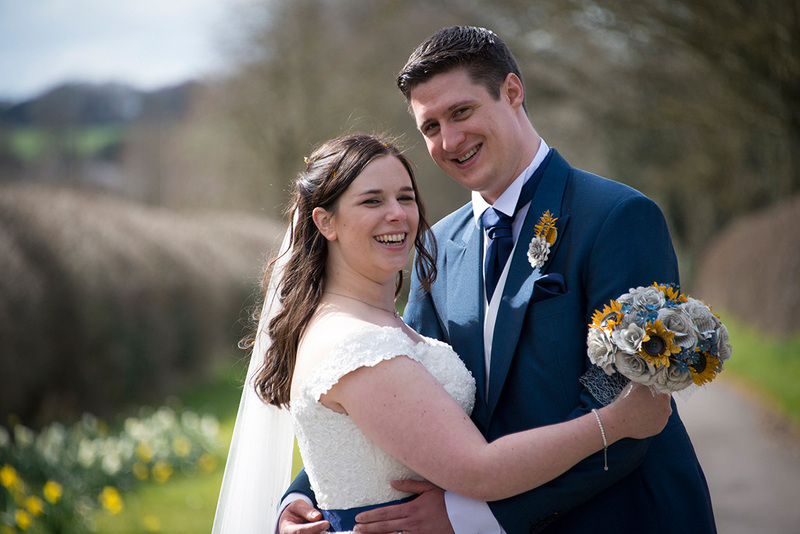 Finding the perfect exclusive wedding venue proved to be rather easy for Sioned and Jonathan. 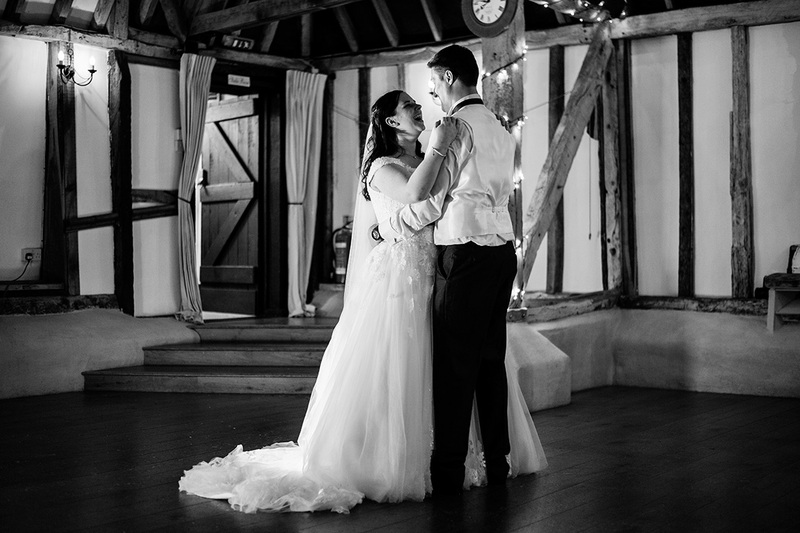 Having dreamed of a romantic wedding venue, it wasn’t long before the pair came across Clock Barn, which met all of their big day requirements and more. 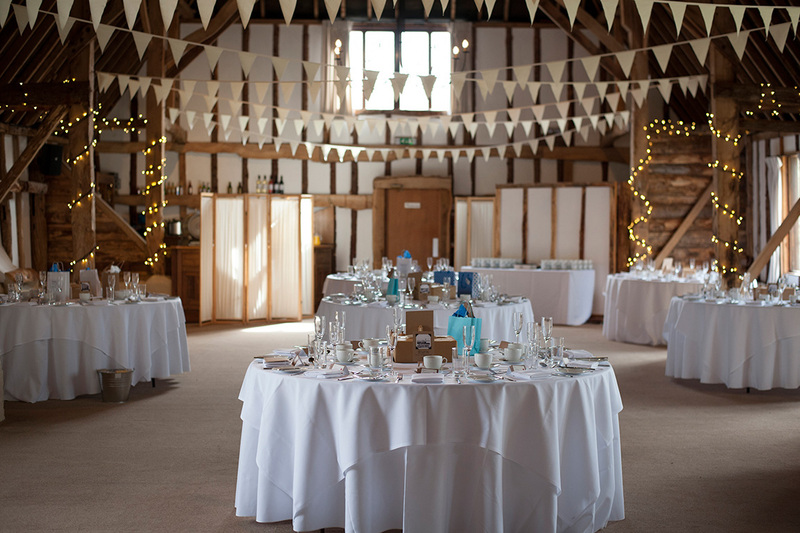 The natural style of Clock Barn already reflected Sioned and Jonathan’s wishes and wants – so they needed to do little else when it came to wedding décor. To complement their afternoon tea wedding menu, they set up an informal wedding breakfast space, gifting each table with games, trivia questions and word searches to keep guests occupied. 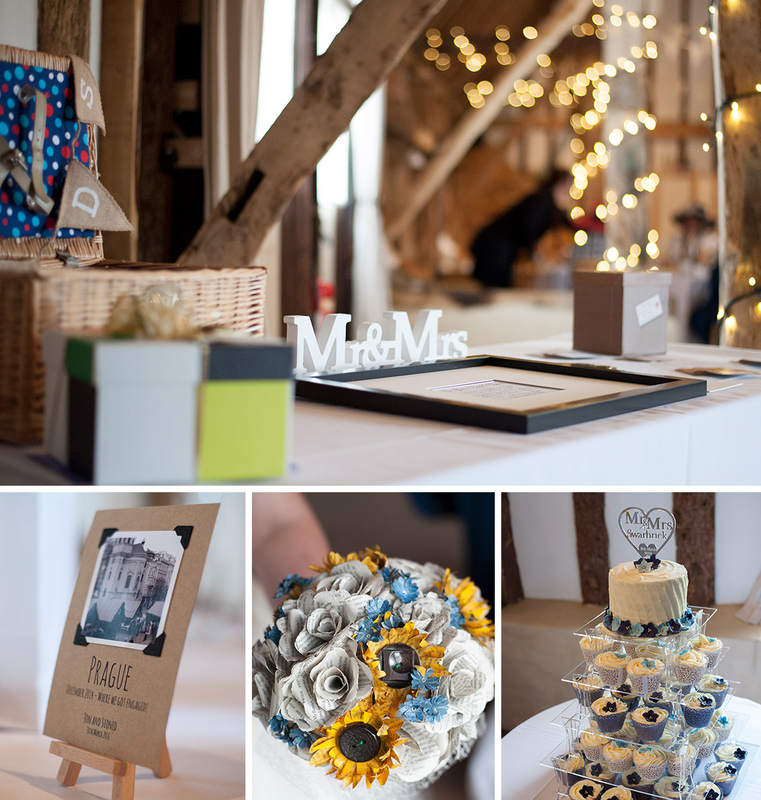 To add a touch of vintage style, the pair opted for paper flowers, made by a friend from Jane Austen novels. Sioned went all out with the dress of her dreams – a princess style gown designed by Essence of Australia. She teamed her gown with a long blue ribbon, tied around her waist. The touch of blue also complemented Jonathan and the bridesmaids’ attire, with Jonathan dressed in electric blue and her two bridesmaids in royal blue lace. 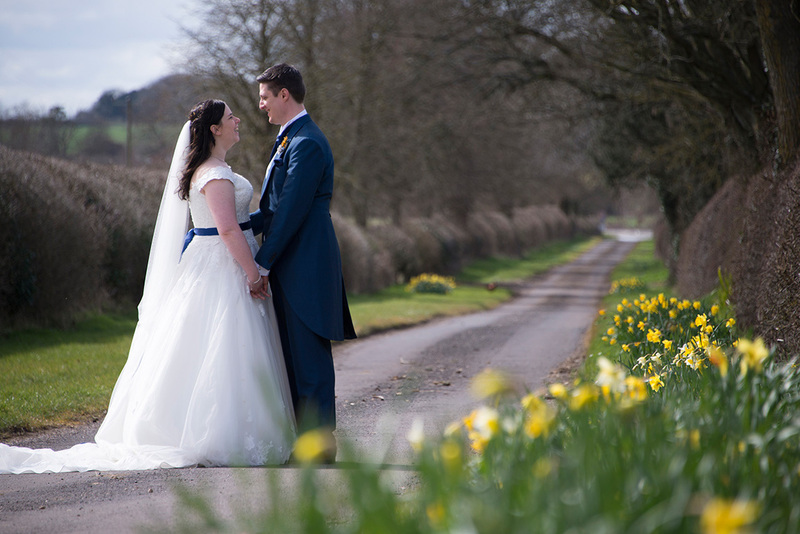 Jonathan and Sioned tied the knot on the 30th March 2016, with Sioned arriving at Clock Barn in the early hours of the morning to get ready. After a laid back morning with her bridesmaids on-site, Sioned had to take just a few steps to tie the knot, before enjoying the party of a lifetime. The couple’s after-party began with canapés, which included crispy risotto balls of sundried tomato and parmesan and curried lamb with mint yoghurt dip. A hearty afternoon tea, with all the sandwiches and pastries guests could eat, followed, and guests were treated to a sociable BBQ come evening. There was certainly no-one going hungry at this wedding! 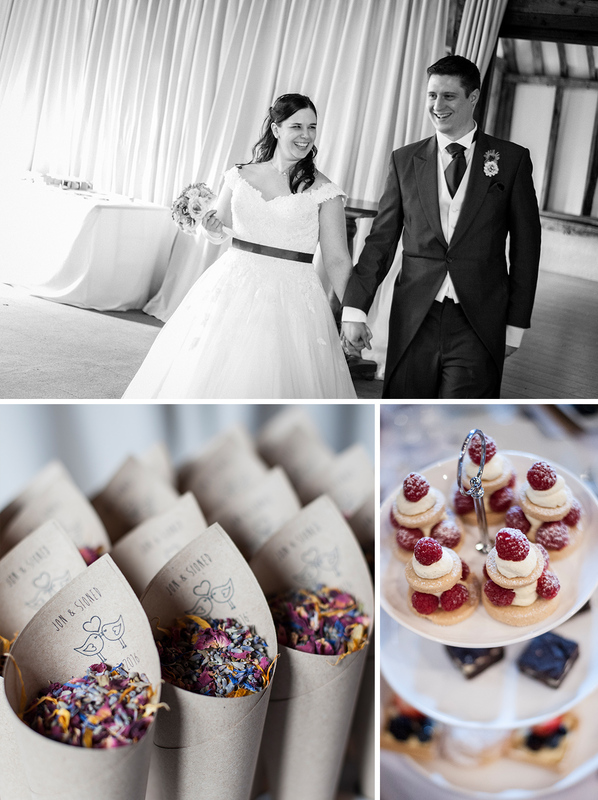 While the afternoon tea wedding food was a highlight, the confetti moment wasn’t quite as dreamy as Sioned had imagined. The natural flower petals were not as soft and gentle as expected and the majority managed to work their way down Sioned’s dress! The couple’s wedding party, however, was even better than expected. The party continued into the late hours, with guests partying on the dance floor and nibbling on delicious BBQ favourites.